Many false stories about Russia-Pakistan cooperation are being spread from Islamabad, with the clear aim of driving a wedge between two old friends. Sometimes one can read the handwriting of Western arms manufacturers. 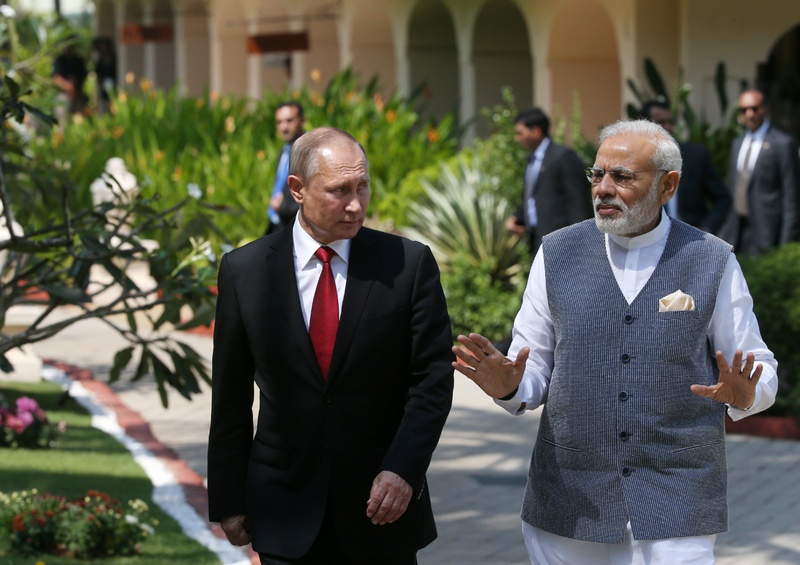 Little over a decade ago a diplomat friend with great pride had underscored the level of political trust that existed between India and Russia in their relationship. This political trust, he said, was the biggest asset in the strategic partnership. However, the first-ever Russian-Pakistani military drill in the territory of India's arch foe has to a great extent rocked this trust, especially in the wake of dastardly predawn attack on the Indian military base in Uri close to the line of control in Jammu and Kashmir. Although Russia was the only member of the United Nations Security Council, which had specifically mentioned that the terrorist attack was “committed from the territory of Pakistan,” many in New Delhi have begun to doubt Russia's reliability as a strategic partner. Not only this, some press and social media comments have gone as far as “demanding” that Moscow not only curb its ties with Pakistan, but also to 'punish' it by refusing to sell Russian arms. This chorus grew even louder with the Pakistani media reports about Moscow allegedly seeking to join China-Pakistan Economic Corridor (CPEC). The Pakistani media reported about Islamabad's consent to allow use of Gwadar port by Russia as part of Moscow's centuries old quest for warm water ports. Interestingly, these kinds of stories are mostly spread from Islamabad, with the clear aim of driving a wedge between two old friends. Sometimes one can read the handwriting of Western arms manufacturers, who are Russia’s competitors. Fortunately, the Government of India, led by Prime Minister Narendra Modi operates in the domain of Realpolitik. Modi is worthy of the leadership of a nation aspiring for the role of a global power. It is easier to lose old friends than to gain new ones. Multitasking or acting on the multiple planes in the foreign policy is the virtue of the leadership of a great power, with the sole aim of guarding national interests and to ensure peace for the economic development. Apropos the first ever Russia-Pakistan military drills, in their bilateral interaction on combating terrorism and post-U.S. withdrawal dispensation in Afghanistan, New Delhi and Moscow in their bilateral consultations have more than once agreed that Islamabad has a “role.” Due to security concerns about several million ethnic Russians left behind in Central Asian independent nations after the Soviet collapse, Moscow is looking for options, and engagement with Islamabad is being seen as one such option. It is noteworthy that throughout the Afghan War, Soviet intelligence maintained direct contacts with Pakistan's ISI, although its role in the Soviet casualties is no more a secret. The December 2016 meeting of Russia, China and Pakistan in Moscow on Afghanistan, and Russia's reported engagements with Taliban, should be seen from this perspective only and not as an act hostile to India. The misinterpretation of facts, and a lack of understanding about Moscow's real intentions are causing an information gap. The Indian press is heavily dependent on the Western spoon-feeding and Pakistani propaganda. What the Russian media writes on the issue is totally absent in the Indian discourse on Russia-Pakistan bonhomie. Sometimes, gross lack of general knowledge results in equally wrong inferences. For example, recently a respected Indian daily in its Russia bashing described the leftist web portal Pravda.ru as the official government mouthpiece, without realising that the newspaper with such powers ceased to exist with the fall of Soviet Union a quarter century ago. Judging by the Russian language media, Moscow was prompted to take a pro-active policy vis-a-vis Pakistan due to, what local media called “China's mischievous activities” in Russia's underbelly in Central Asia. “Creation of a political alliance between Tajikistan, Pakistan and Afghanistan under Beijing's patronage has caused grave concern in Moscow, following the trilateral meeting of Army Chief of Pakistan General Raheel Sharif, Chief of Joint Staff of People’s Liberation army (PLA), General Fang Fenghui with their Tajik host Lt.-Gen Sherali Mirzo in Dushanbe in early March,” pro-Kremlin daily Izvestia had reported in March 2016, noting that after this meeting Chief of Joint Staff of PLA, General Fang rushed to Kabul on March 5 to negotiate details for a regional security treaty between China, Pakistan, Afghanistan and Tajikistan. Izvestia on March 16, 2016 reported about Russia's Afghanistan Envoy Zamir Kabulov strongly raising this issue with his Chinese counterpart Deng Xijun at their Moscow meeting. According to Andrei Serenko, an expert of Moscow-based Centre for Modern Afghan Studies, this was a nasty thing for Russia as Beijing was creating a regional security system without Moscow. So we can clearly see that Russia's actions in the region are guided by its vital national interests and are not aimed at undermining its multifaceted ties with India. Vinay Shukla is an Indian journalist, who has covered Russia for over four decades. Views expressed in this column are personal. Read more of his articles here.